I always schedule the time to go to the bi-annual Three Speckled Hens vintage show in Passo Robles California. It's one of my favorites and as a matter of fact I am already planning for the next show in May 2018. 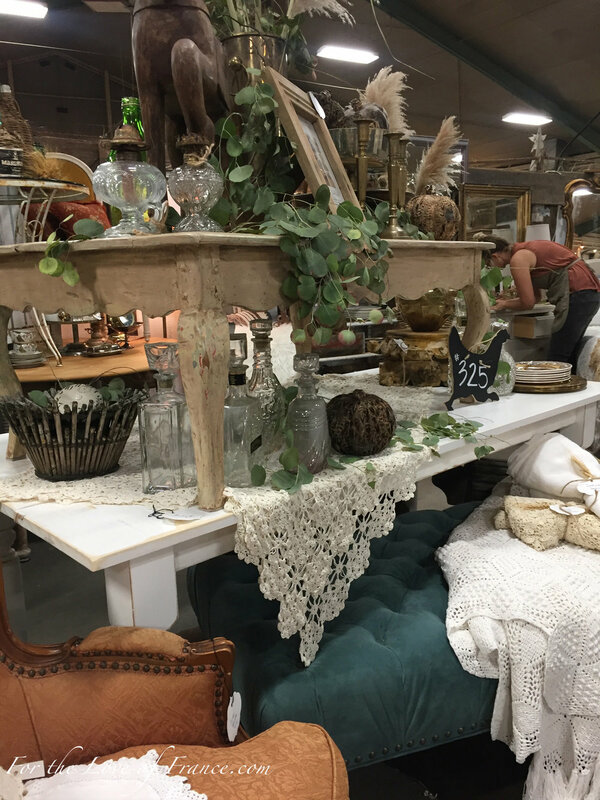 It is always so inspiring to see the re-purposed creations, iconic collectibles and one-of-a-kind antique and vintage objects being offered. The innovation and creativity the vendors use in the presentation of their individual displays never disappoints! The excitement was almost palpable as I waited in line for the 'earlybird' entry. I haven't ever seen pumpkins used for planters what a clever idea! I can't wait to make one. This vintage show, the three speckled hens was filled delightful surprises and clever ideas for reclaiming recycling and refurbishing. Don't you love the rustic charm of the two vintage refectory tables above and the way they have been set set in harmony with the season. The French bistro chairs on the right have been a long time favorite of mine. Just below are more photos of the show. 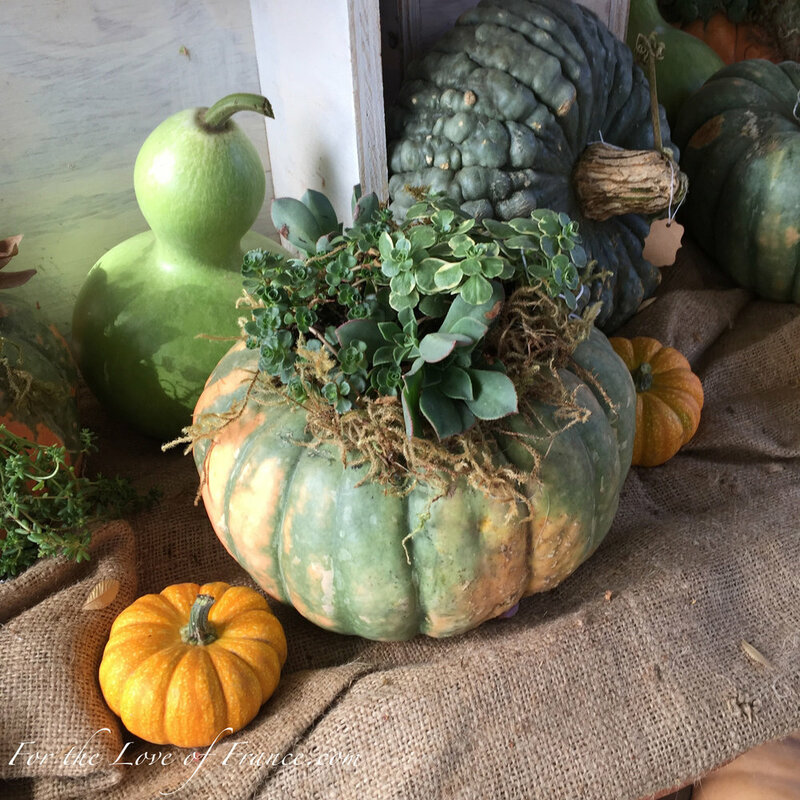 I hope you enjoy looking at them and find harmony, exquisite color palettes, and gorgeous patinas to be the common denominator to inspire new ideas for your own collections, vintage home decor and the holidays ahead. One more thing, perhaps the most important... MERCI - Thank You - for following along with my blog. You are appreciated! Have a wonderful weekend. Goat Hill Faire Antiques and Inspiration! Antique French Linen Sheet Sale | What to Do?